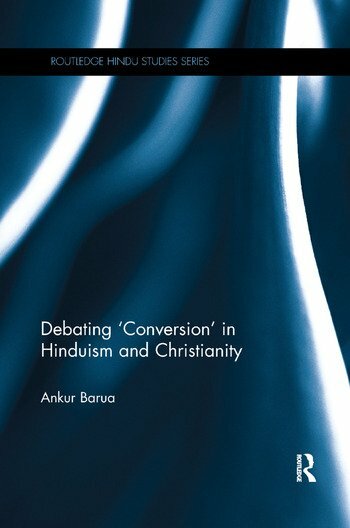 Hindu and Christian debates over the meanings, motivations, and modalities of ‘conversion’ provide the central connecting theme running through this book. It focuses on the reasons offered by both sides to defend or oppose the possibility of these cross-border movements, and shows how these reasons form part of a wider constellation of ideas, concepts, and practices of the Christian and the Hindu worlds. Questioning what ‘conversion’ precisely is, and why it has been such a volatile issue on India’s political-legal landscape, the book will be a useful contribution to studies of Hinduism, Christianity and Asian Religion and Philosophy. 6. Christian Orthodoxy and Hindu Spirituality: ‘Particularity’ versus ‘Universalism’? Ankur Barua is Lecturer in Hindu Studies at the Faculty of Divinity, University of Cambridge, UK. His articles have been published in journals such as the Journal of Hindu-Christian Studies, the Oxford Journal of Hindu Studies, Sophia, the International Journal of Hindu Studies, and the Journal of Ecumenical Studies.